Material Jetting stands out among other 3D printing technologies for its ability to produce highly accurate parts with a smooth surface finish. Since its emergence in the late 1990s, Material Jetting is an ideal 3D printing technology for producing full-colour, visual prototypes, injection moulds and casting patterns. Today’s tutorial will take a closer look at the Material Jetting process, the advantages and limitation of the technology as well as the latest applications for and developments in Material Jetting. Material Jetting is an inkjet printing process whereby printheads are used to deposit a liquid photoreactive material onto a build platform layer upon layer. Similarly to Stereolithography (SLA), Material Jetting uses a UV light to solidify the material. The methods of material deposition vary from printer to printer and can involve either a continuous or Drop-on-Demand (DOD) jetting approach. Note that the DOD technique is typically used to deposit viscous liquid materials. Once the liquid resin is preheated for better viscosity, the printhead begins to move above the build platform, depositing the first layer of material where required. Support structures are printed simultaneously with the part to ensure its stability during printing. The deposited material is then exposed to UV light, curing (solidifying) the layer of material in a process known as photopolymerisation. Once the first layer has solidified, the build platform is lowered by one layer height and the process is repeated until the part is finished. Support structures can now be removed from the part, ready for post-processing. Accuracy: Material Jetting boasts one of the highest levels of accuracy among 3D printing technologies. Thanks to the precise deposition of the tiny droplets of material, layers can be printed as thin as 0.013 mm, allowing for parts with a very smooth surface finish and enabling parts with small but highly accurate features to be produced. Full-colour and multi-material parts: Material Jetting can be used for full-colour and, more notably, multi-material 3D printing, as the printhead used in the printing process typically incorporates multiple nozzles. 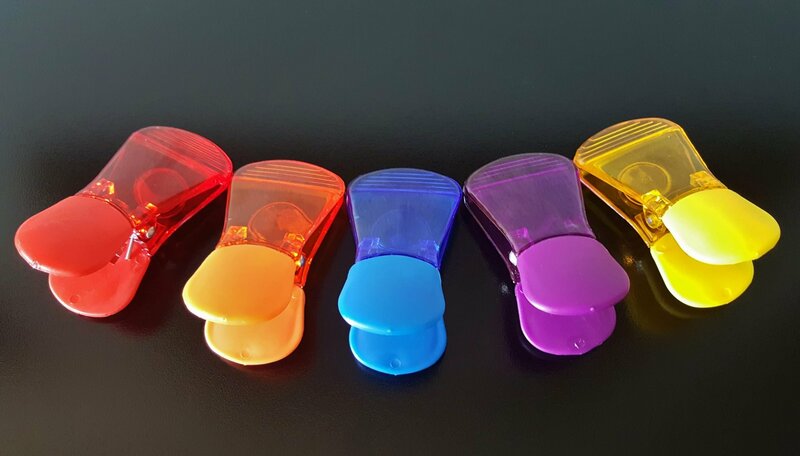 These nozzles can deposit different materials and/or different colours in a single printing process. Objects created through the material jetting printing process can therefore possess a range of material properties such as rigidity, flexibility, opaqueness and translucency. Support structures: Although Material Jetting requires support structures, these can be easily dissolved in an ultrasonic bath. When dissolved correctly, the supports don’t leave marks on the surface after removal. Poor mechanical properties: Objects produced with Material Jetting are typically weaker, particularly when compared to other 3D printing techniques like SLS. This makes material jetted parts generally unsuitable for functional applications – with Material Jetting typically used to produce parts for which look matters more than function. Slow printing process: Material Jetting is somewhat constrained by the speed of the printing process. Because small droplets of material are deposited over a small part of the build area at a time, the process takes more time to create a part. Material limitations: For Material Jetting, typically only viscous materials can be successfully printed. However, the number of viscous materials which are able to be used in the printing process is currently rather limited. See below for more on the materials used in Material Jetting. Today, the two most commonly used materials for Material Jetting are photopolymers (in liquid form) and casting wax. Stratasys and 3D Systems are two of the most recognisable Material Jetting specialists on the market, offering a range of photo-curable plastics and composites. Stratasys, for example, has recently developed its so-called “digital materials”, used in its proprietary PolyJet technology. These materials combine two or more photopolymers, resulting in a material with hybrid properties (e.g. combining rigidity with flexibility). Although objects produced with such materials are weak and brittle, there are also materials optimised for specific applications like tooling and investment casting. Much research is currently being conducted into expanding the range of materials that can be used with material jetting, and metals, ceramics and silicones have already started to enter the market. Israeli company Xjet, for example, has developed its NanoParticle Jetting technology for metals and ceramics. With this technology, ceramic or metal particles are suspended in a liquid formulation, which is then removed during the sintering stage. Another milestone in materials for Material Jetting has been achieved with silicone 3D printing, developed by ACEO®, a division of the German chemical giant Wacker Chemie AG. First unveiled in 2016, ACEO®’s technology uses a “drop-on-demand” technique to create 100% silicone as well as multi-material parts with different colours and hardness. The benefits offered by Material Jetting make it an ideal technology for both prototyping and tooling. For example, designers can take advantage of the multi-material capabilities of Material Jetting to produce highly accurate, full-colour visual prototypes. A good example of this is the Audi Pre-Series Centre: using Stratasys’ material jetting technology, the car manufacturer has been able to create fully functional, multi-material prototypes to speed up its design verification process. The medical industry is increasingly using Material Jetting for the production of realistic anatomical models both for educational purposes and pre-surgical planning and training. Material Jetting can be used in medical universities and hospitals to 3D print full-colour anatomical models which look like real body parts. Such models not only help medical students to have a better learning experience, they also allow surgeons to plan and prepare for a surgery more efficiently than it would be with a 2D image. Furthermore, Material Jetting is well-suited for the low-volume production of moulds and casting patterns. Thanks to this 3D printing technology, tooling for injection moulding and investment casting can be produced much faster and cheaper whilst achieving higher levels of complexity impossible with traditional tooling manufacturing. Material Jetting can also be useful for 3D printing electronic devices. For example, Nano Dimension’s DragonFly 2020 Pro 3D printer deposits conductive silver inks to create multilayer electronic circuits, PCB prototypes and antennas. Material Jetting 3D printers have a diverse range of build volumes from medium (380 x 250 x 200 mm) to large sizes (1000 x 800 x 500 mm), which can be tailored to specific needs without compromising on the accuracy of 3D printed parts. Stratasys and 3D Systems are currently the main manufacturers of Material Jetting 3D printers. For example, the ProJet MJP 5600 3D printer from 3D Systems uses the proprietary MultiJet Printing technology to create multi-material colourful parts for prototyping and rapid tooling fabrication. The system is compatible with the company’s proprietary VisiJet® materials. The printing volume of the machine is 518 x 381 x 300 mm, ideal for medium-sized components. 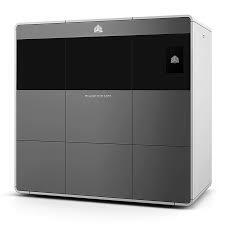 The J750 3D printer is the latest development in Material Jetting systems from Stratasys. The J750 relies on the proprietary PolyJet technology. The machine features a 490 x 390 x 200 mm build volume and also offers multicolour and multi-material 3D printing with the 6 different materials simultaneously. Material Jetting is an ideal technology for creating functional prototypes and tooling, as it delivers full-colour and multi-material parts with high dimensional accuracy. However, with photopolymer and other materials under ongoing further research, Material Jetting also holds the potential to bring innovative solutions to end-part production, particularly in the realm of 3D printed electronics. Thanks to its drop-on-demand technology, Material Jetting also shows promise for bioprinting, with the ability to revolutionise regenerative medicine and tissue engineering.